Is your neighbor a criminal? 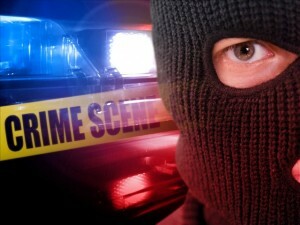 The signs of a burglar, vandal, or thief are often hard to come by. These assorted villains vary by backgrounds, motives, and creeds. However, there are some tell-tale signs that your neighbor may be up to no good. This guide will help you to become aware of the nefarious neighbor, and ensure that your equipment is able to capture them in the critical moment. The profile of a burglar is universal. You may be used to profile those with baggy, worn out clothes as criminals. This assumption can often be correct, however, it is worth looking beyond the cliches in order to stay truly safe. Understand that a criminal comes in all shapes and sizes, and the motives always differ. Not to arouse suspicion, but anyone from the little old lady down the street to the new young couple next door can become criminals under the right circumstances. Now, you don’t have to spend your days in worry of what can or may happen, but it is important to take steps to minimize potential problems. If you have a neighbor who is consistently loud, you may have warrant to be suspicious. For instance, this neighbor of yours is a young bachelor and living the high life. He works during the week, but on the weekend throws parties on a massive scale. Should you be worried of anything aside from the loud noise? You may believe he is a goodnatured individual, and would never cause you harm. This is fine except for one key detail: he has many people coming and going from his house at all hours of the night. Young adults partying, bringing their friends, and those friends bringing mutual acquaintances. The chance that one of them is a bad apple is quite high, and your house should be protected. Have an infrared camera mounted alongside the front of your house. A simple domed camera will keep your frontyard under protection through all hours of the night. 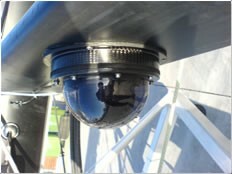 These cameras can come in very small sizes as well, ensuring that neither your safety or aesthetics are compromised. If one of these bad apples should come into your home, either in a drunken stupor or with more criminal intents, it would be wise to have a indoor dome security camera mounted inside. These cameras can cover the entire span of your entrance, the length of your hallway, and any other space you desire. This ensures that any motion is properly recorded throughout your home, giving you the evidence you need should the case become more sever. If one of these partying punks should happen to be a vandal, then you may take precaution with a vandal proof dome security camera. Something like the 700TVL Infrared Day/Night Varifocal Vandal Dome Security Camera is perfect for thwarting any mischief planned for the night. These cameras are designed to withstand any pressure, whether it be from the wild weather or from mischievous kids. These cameras will protect you against partying hooligans, attempted robberies, and from rotten kids on Halloween. If ever notice tools in your shed mysteriously misplaced, you may have a neighbor who “borrows” from you time to time. These neighbors often come with good intentions, as they believe it is not theft, but your possessions are yours and only yours. Don’t give these “borrowers” the satisfaction of getting your tools dirty. Stop them in their tracks with a night vision security camera. If your tool shed or garage is constantly being compromised, you owe it to yourself to install an infrared camera nearby. This will allow you to catch your neighbor red handed, and ensure you don’t confront the wrong fellow. A simple dome camera can give you all the perspective you need to ensure your tools never fall into the wrong hands again. 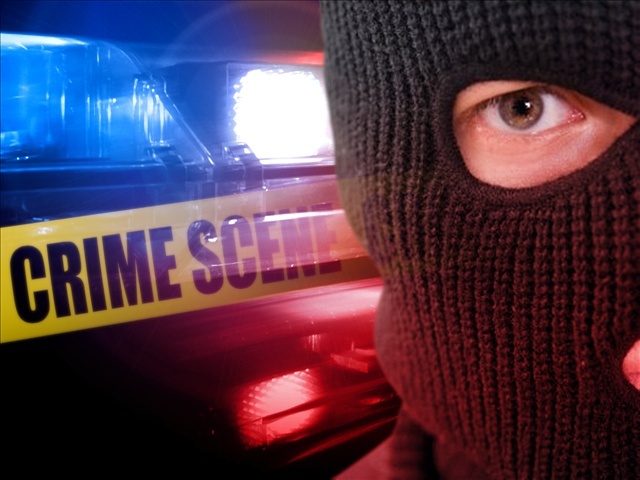 Some burglars are from out of town, so a standard profile will not be enough to thwart crime. These criminals may crawl into your neighborhood from across town, and you can most definitely be prepared. A motion sensor camera will activate only when something crosses its field of vision. This can be a subtle movement, a change in lighting, or even a sound. This camera can then record only the most pertinent details. You can set the configurations to notify you of when it is turned on. So if car pulls into your street, and a burglar decides to choose your house, your camera will activate and notify you instantly. Porch lights can be set to turn on, or your DVR system can activate and alert you in your own room. This leaves you with enough time to call the authorities and prevent whatever they have in mind. You may be on friendly terms with many of your neighbors, but what of their children? A teenage boy can often cause problems for any nearby homeowner. These kids can often vandalize a home for approval of their peers, out of vengeance, or simply because they are bored. In the worst case scenario they may even need money for drugs. You can never understand the motives of an out of control teen, but you can certainly be prepared. You can install hidden security cameras in order to catch crazy teenagers, yet these will not prevent a crime from happening. If you wish to make it known that your house is under surveillance, then a fully decked security camera system is an ideal choice. Some inside/outside choices include the standard Complete 8 Channel Elite Mini Economy DVR Security Camera Surveillance System. This system contains the whole shebang, and can be purchased in many variants. You can choose from as little as four channels to over 32. While these cameras are more detectable, you can choose the 700tvl Weatherproof Varifocal IR Bullet Security Camera for complete visibility. Those troubled teens will see this camera on your porch, post, or gate, and instantly think otherwise. If you live with roommates, you can often find yourself uncertain of their motives. Roommates are trickier to deal with than neighbors, as they have constant access to all of your belongings. If you suspect your roommate of burglary, but can’t confront them or move yet, then it is time to action. While you’re gone, you can leave a hidden camera in your room to ensure that no roommate or neighbor ever takes what is rightfully yours. The Mini Desk Clock Hidden Camera With Built-in DVR & Audio is the perfect way to capture your perpetrator redhanded. As with the Alarm Clock Camera w/ SD DVR & 8gb SD-card, these innocent devices look exactly like your standard alarm clock, yet operate like a fully functional security camera waiting for action! For a larger version, try the Wall Clock Camera w/ SD DVR And 8gb SD-card for extra security. You can also secure your desk from thieving roommates with the Desk Lamp Hidden Camera With DVR & 8gb SD-card. This functional lamp will fool any criminal, thereby leaving you with all of the footage necessary to ensure that judgement is served. For additional methods of concealment, try the ELECTRICAL OUTLET HIDDEN CAMERA WITH DVR & 8GB SD-CARD or Air Freshener Hidden Camera With DVR & 8gb SD-card. You are now protected from reckless teenagers, conniving roommates, and other assorted criminals. There is another type of burglar, and this one is harder to detect. This neighborhood vandal can come in the form of a sweet old couple, or an average 30 year old newlywed. Since they are often undetectable until it is too late, it is best to plan ahead. 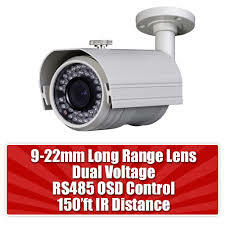 Installing a high security 630TVL High Resolution Wide Dynamic Range Dual Voltage Security Camera is the perfect way to catch your thief in the act, and ensure that no property is stolen away. These unsuspecting neighbors can steal for a variety of reasons: unemployment, desperation, and the like. Don’t wait until it is too late, and have a domed camera waiting for them when they enter your home. If you have a dog, and especially one that barks, you can be sure there will be problems in the future. Older couples, while generally unsuspecting, have been reported of compromising dogs that annoy them over time. Maybe a neighbor throws a rock, or leaves tainted food, in order to silence your howling hound. While these instances are rare, they are quite horrific and can be prevented through proper security measures. Installing a visible camera on your back porch will alert neighbors that they will be caught. Having two 700tvl Weatherproof Varifocal IR Bullet Security Camera on your back porch will alert all neighbors that their actions will not be left unnoticed. This is the best prevention possible in order to avoid nasty neighbors harming your animals. If they are unaware of the camera, the best you can hope for is that act is caught on tape. A 700TVL Dual Voltage Infrared Day/Night Vandal Dome Security Camera will get the job done perfectly. The profile of a burglar is often changing. Too often, those with baggy clothes and a bad attitude are mistaken as the only trouble in the neighborhood. While these characters are worth noting, you must be aware that it is all too easy to be blindsided by the sweet and innocent couple next door. The man you’ve trusted for years could turn on you if times get tough. A vagrant punk may find his way into town, and select your house as the one to rob. If neighbors are constantly having parties, then their guests may drunkenly decide to redecorate your home. Even with all of the possibilities, it is worth noting that you don’t have to worry about such incidences. More often than not, you will encounter the best of people in your town. You don’t have to be on edge every moment waiting for that criminal to strike. That is what security camera systems are for. Select the best system for your house and needs, and install it quickly in order to provide proper protection. 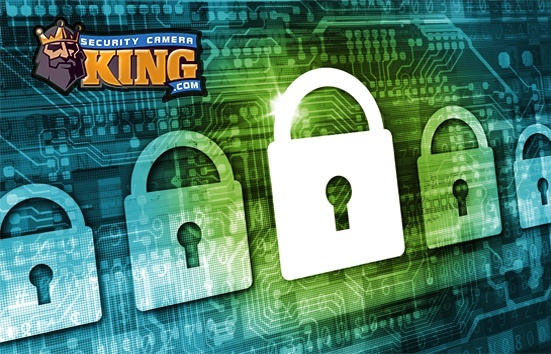 With SecurityCameraKing, you can ensure that your system is comprised of the only the best hardware available. Don’t waste your precious time worrying, as the profile of a burglar comes in all shapes and sizes. Contact us today and install a video camera system in your home.